As autumn continues in earnest, Tilgate Nature Centre has become carpeted with thousands of leaves. 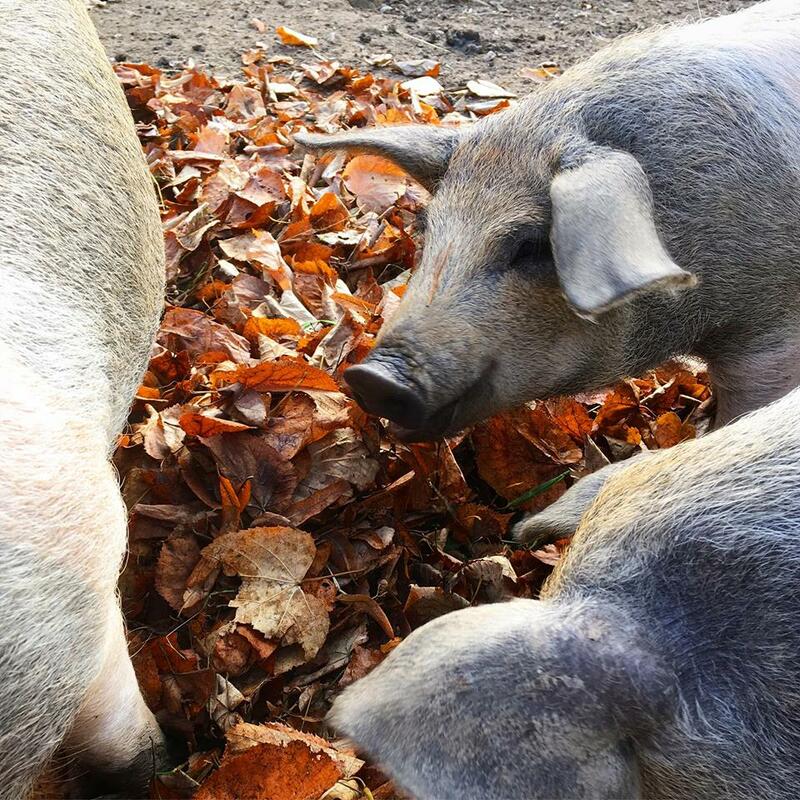 But our keeper Sandra thought of a better use for them than just redecorating the paths in red, orange and yellow – leaves can make great enrichment for pigs! Pigs have very sensitive noses and rooting through undergrowth with their snouts is exactly what wild pigs would do when foraging for food. So big piles of leaves make fantastic enrichment for them. So, with a bit of help, a small fraction of the leaves were collected into sacks and given to the piglets. As you can see in the video above, they had a great time!